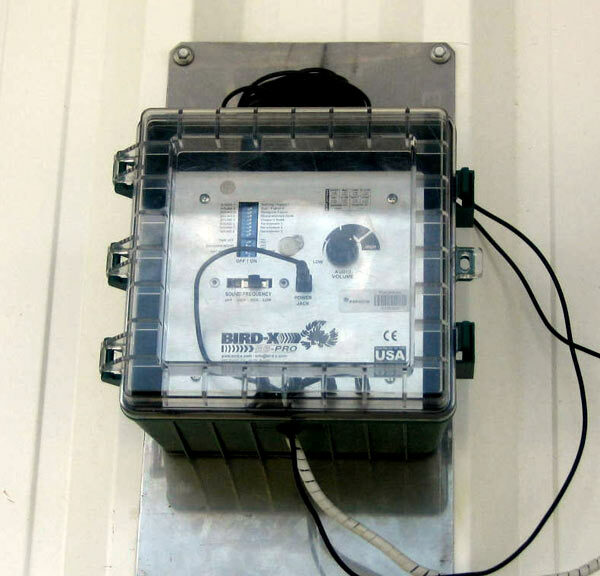 Sonic & Ultrasonic Bird Control System! 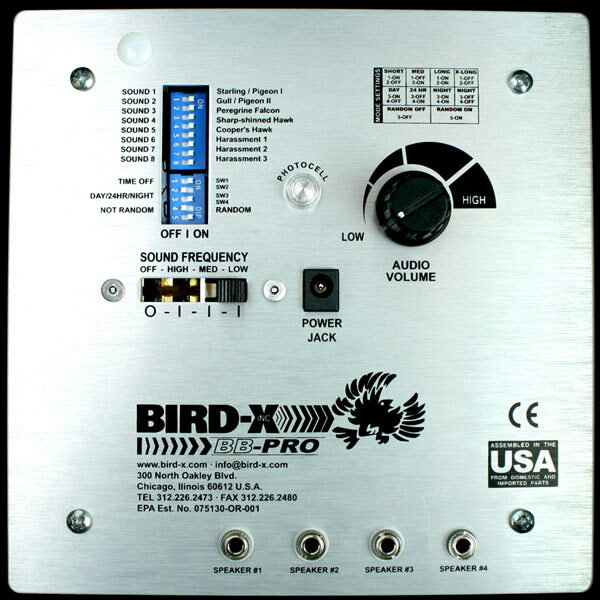 BroadBand Pro is a programmable ultrasonic and sonic bird repeller. A unique combination of harassments creates a menacing environment that scares birds away for good. 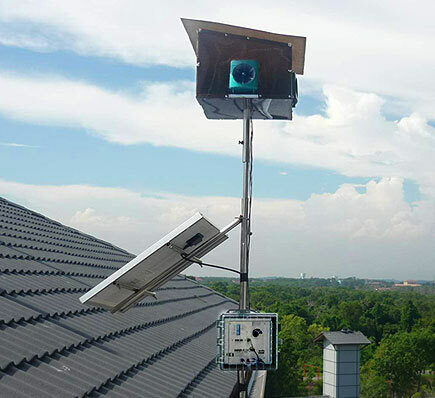 Targets pest birds with an unrelenting combination of species-specific distress cries, predators, general harassments, and newest-technology ultrasonic waves (silent to humans). 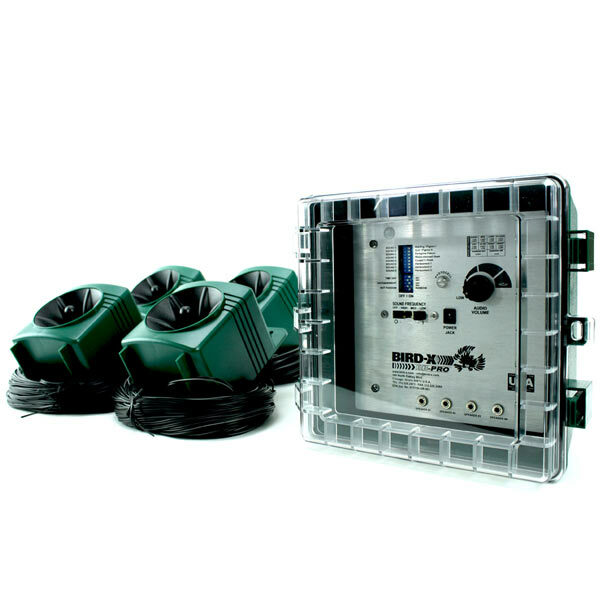 Includes 4 speakers with 100' of speaker wire for maximum coverage. Harmless to birds! Uses natural environmental sounds. Ultrasonic: Uses high-frequency sound waves that are silent to most humans; covers up to 3,600 sq. ft.
Sonic: Uses naturally-recorded distress calls and predator cries; covers up to 6 acres. Customizable settings allow for greater success. 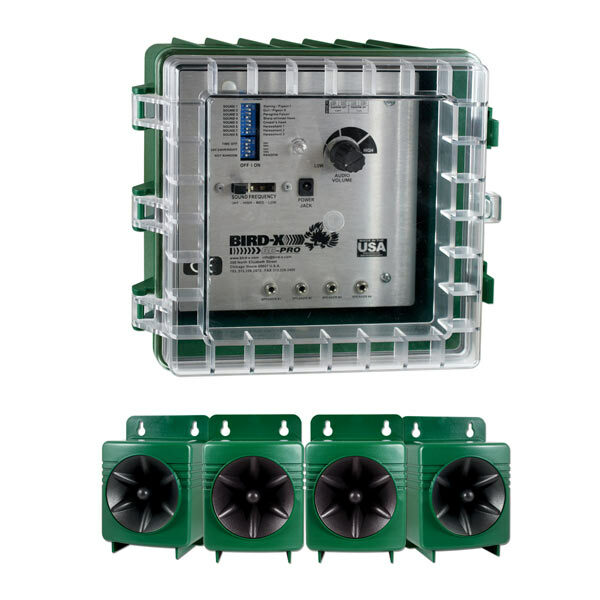 Weather resistant housing withstands all elements. 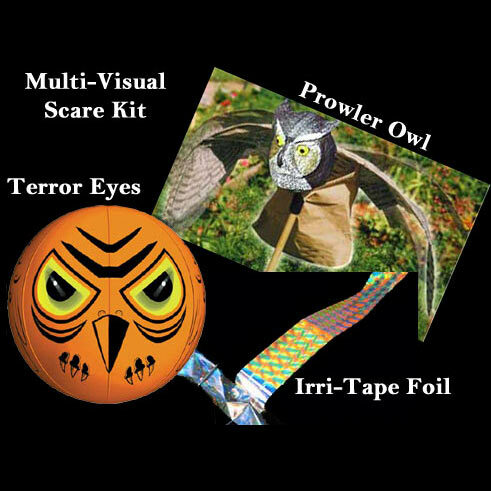 Use a synergistic approach to removing birds by adding our Multi-Sensory Visual Scare Kit. 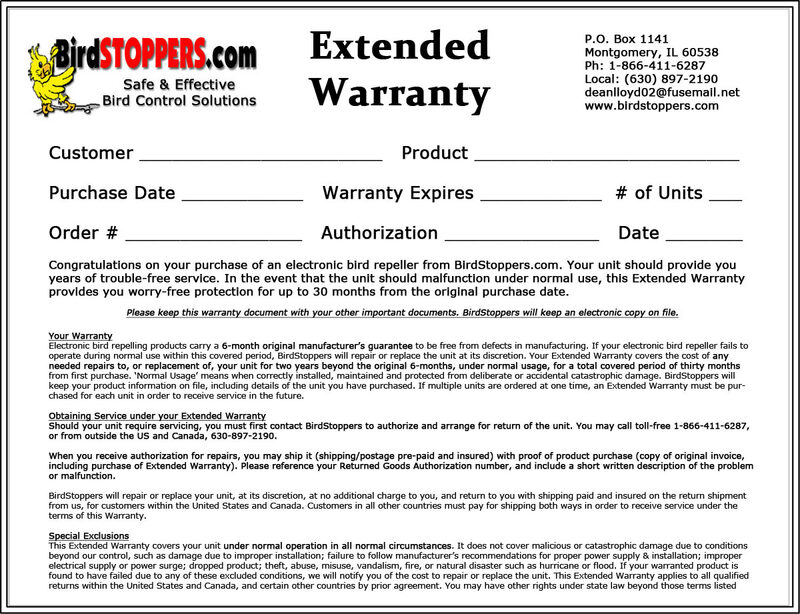 Add 24 month Extended Warranty?